SARASOTA, FL – Ben Bernanke, former chairman of the Federal Reserve, will be one of six distinguished speakers to appear at the 2015 Ringling Town Hall Lecture Series. A Pulitzer Prize-winning journalist, an expert on U.S.-China relations, an acclaimed astrophysicist, a longevity expert and a Somali woman activist are the other speakers scheduled next year for Sarasota’s premier lecture series. Since launching its annual series, the RCLA Town Hall has given or pledged more than $8 million to support the Verman Kimbrough Memorial Library at the Ringling College of Art and Design and for student scholarships. Subscription tickets for RCLA members for the 2015 series will go on sale in April. 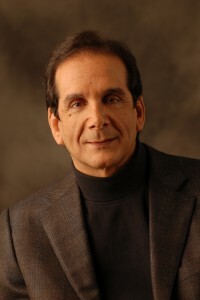 On Tuesday, January 13, Dr. Charles Krauthammer will kick off the 2015 series with a talk his views and his bestselling book “Things That Matter: Three Decades of Passions, Pastimes and Politics.” A Pulitzer Prize winner for distinguished commentary, Dr. Krauthammer is a Washington Post Columnist, Fox News Contributor, and author of a New York Times #1 bestseller who has been called “Obama’s critic-in-chief” by the National Review. He will share his insights concerning international affairs and what’s ahead as the nation approaches the next presidential election cycle. On Monday, February 2, Town Hall will present Jon M. Huntsman, Jr., former U.S. ambassador to China and former governor of Utah. As U.S. trade ambassador, he oversaw the admission of China and Taiwan into the World Trade Organization. His talk will focus on what the future holds for China politically, economically, demographically and socially and how those trends will impact Americans. Best-selling longevity author Dan Buettner will speak on Monday, February 23. His book, “The Blue Zones: Lessons for Living Longer from the People Who Have Lived the Longest” draws on his experiences as a National Geographic Fellow documenting the activities of centenarians in various parts of the world. Currently, he is working in a number of U.S. communities focusing on changing the health environment rather than changing individual behavior. On Wednesday, March 4, award-winning humanitarian Ayaan Hirsi Ali will discuss the violence directed against Muslim women. Born in Somalia in 1969, she was subjected to routine female genital mutilation as a small child. She later escaped from an arranged marriage by seeking asylum in the Netherlands, where she became ultimately a member of parliament. She will be interviewed by Katty Kay, lead anchor, BBC World News America, on the subjects of how to rein in radical Islamic fundamentalism and protect the rights of Muslim women. Astrophysicist Dr. Neil deGrasse Tyson, a member of NASA’s prestigious Advisory Council, will speak on Monday, March 23. Best known for making complex science accessible to the public, he is currently hosting “Cosmos: A Spacetime Odyssey,” a joint National Geographic and Fox television series appearing in 132 countries around the world and inspired by the work of the late Carl Sagan, Tyson’s mentor. In addition to dozens of professional publications, Tyson has written ten books, and hosted the PBS-NOVA mini-series, “Origins.” On the lighter side, Tyson was voted “The Sexiest Astrophysicist Alive” by People Magazine. 2015 Ringling Town Hall Lecture Series will conclude on Tuesday, March 31, with a talk by Dr. Ben S. Bernanke, distinguished fellow in residence at the Brookings Institution who guided the Federal Reserve System through a tumultuous period in U.S. history. One of the foremost economists in the country, Dr. Bernanke will discuss how close the U.S. economy came to falling off the cliff in 2008-2009 and explain his strategy for preventing a financial Armageddon then. Call 941-925-1343 to become an RCLA member and subscribe to the 2015 Town Hall Lecture Series. Learn more by going online to www.rclassociation.org. © 2012 Ward Group PR, Inc.